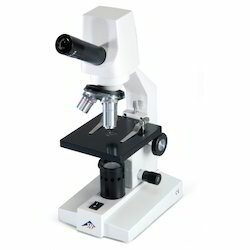 High quality and performance microscopes from 3B Scientific Germany. 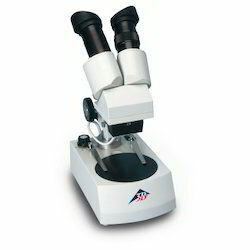 Stereo microscopes model 20x are robust microscopes that are distinguished by their ease of operation and excellent mechanical and optical quality. They can be used in numerous applications within the fields of biology and geology. They are equipped with a quick-change fitting that allows for rapid replacement of the objective. With the aid of accessories, a magnification of up to 120x can be achieved. There is a choice of two illumination sources: plain reflected illumination plus reflected and transmitted light and a mixture of the two. It is also possible to choose between conventional illumination with a light bulb and low-temperature LED illumination. The low-temperature illumination allows samples to be viewed for longer without heat affecting the prepared specimen. It also has the advantage of being brighter, as well as being longer lasting and eliminating the need to change bulbs. Power is supplied to the LED illumination via rechargeable batteries, so that the microscope can also be used without a mains connection. 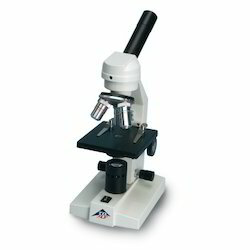 The monocular course microscopes model 100 are distinguished by their robust construction and ease of operation. They are equipped with three achromatic objectives as used in common practice and have a simple object stage with two clips for holding slides. They can be supplemented by means of a variety of spare parts and accessories. There is a choice of two means of illumination: a tungsten lamp or low temperature LED lighting. The LED lighting makes for uniform illumination of the object and avoids the problem of heat affecting the slide when viewed for extended periods. In addition, it lasts for a long time and eliminates the need to change bulbs. The models with LED lighting are equipped with rechargeable batteries and can be used without a mains connection.